Spam calls/text are a serious problem due to automated dialers with marketing companies. We are constantly fighting that battle on the behalf of our users. Source: FTC – How does a robocall work? iPlum has a free feature to block these spam numbers. Recents: Tap on the phone number & click Block icon. 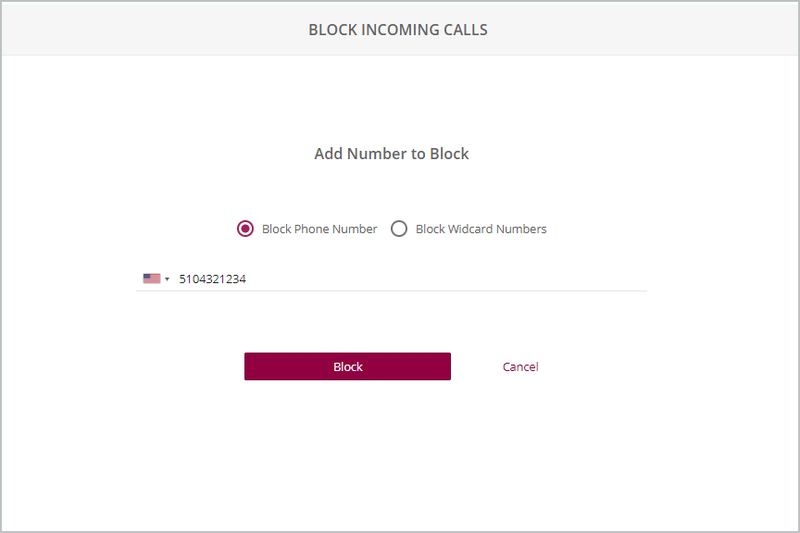 If the number is already in your contacts, you will see More icon and click on the “Block Number” link in details. Settings: iPlum App >> Settings >> Block Number >> Edit. Enter the phone number to block. (Optional) To add Wild Card blocking: Warning: Choose this option carefully since it will block multiple numbers. Enter the first few digits ending with a star (*). This will block any numbers which match that string. Do not enter multiple stars. The star needs to be at the end of the numbers. A simple star after the country icon will block all calls & texts from that country. Entering 410* for US will block all numbers starting with area-code 410. Settings iPlum App >> Settings >> Block Number >> Edit. Swipe left next to the phone number. Login: Go to the web page https://my.iplum.com on your computer or a tablet. Your login-id is usually the phone number which you used to setup your iPlum account. Dashboard: You are now logged into your iPlum account. Block Numbers: Click “Utilities” and select “Block Numbers”. Select the account and add phone numbers to block incoming calls & texts from these numbers. Add Wild Card blocking: Enter the first few digits ending with a star (*). This will block any numbers which match that string. Do not enter multiple stars. The star needs to be at the end of the numbers. A simple star after the country icon will block all calls & texts from that country. Entering 410* for US will block all numbers starting with area-code 410. How to register my iPlum number at FTC Do-not-call list?